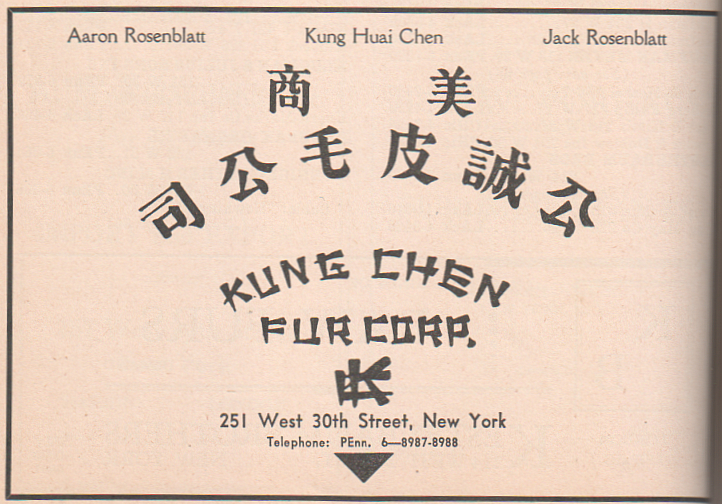 UNITED STATES v. KUNG CHEN FUR CORP.
Siegel, Mandell & Davidson, Lane, Young & Fox and Brooks & Brooks, Lane & Wallace and John D. Rode, all of New York City, associate counsel for appellee. Before GARRETT, Chief Judge, and JACKSON, O’CONNELL, JOHNSON, and WORLEY, Associate Judges. This is an appeal from the judgement of the United States Customs Court, First Division, C. D. 1203, 24 Cust.Ct.___, entered in conformity with the decision of the majority, Mollison, J. dissenting, sustaining importer’s protests claiming free entry for plates of kid skins imported from China and entered, under the Tariff Act of 1930, at the port of New York in February 1935. Two protests, Nos. 811174-G and 909743-G, are involved. The merchandise being similar and the protests substantially identical, the cases were consolidated for trial and disposed of by the Customs Court in a single opinion and judgment. Alert for bandits, his trusty rifle always by his side, Susan Sontag’s birth father Jack Rosenblatt spent years in Siberia , Mongolia and Manchuria among the Evenki, Yukagir, and Yakuts, exchanging glass beads for sable, wolf, fox, squirrel, kid, and dog skins and sending them on camelback to the coast. But when he died in Tientsin in 1939, his efforts had come to nothing, and all he left his fatherless five year old daughter was this law suit. Memories of this latter-day Natty Bumppo would always haunt her dreams.